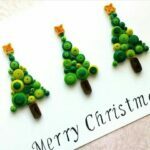 As you know we are a great fan of Paper Quilling Patterns. 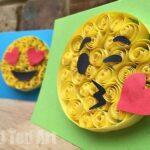 There are many great simple Paper Quilling Projects for Beginners – introducing the basic concept of Paper Quilling with adorable results. 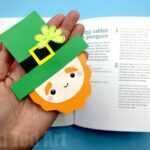 We have made a number of these in the past (I particularly love the Paper Quilled Heart Cards) and today we are back for more. 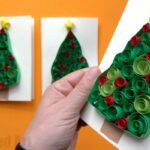 As “inspiration online” goes, the “detail” of today’s Paper Quilled Shamrock Cards is inspired by Arty Crafty Kids‘ gorgeous paper quilled snowflakes for kids – I loved the idea of adding Toilet Paper Rolls to create your paper quilling outlines. 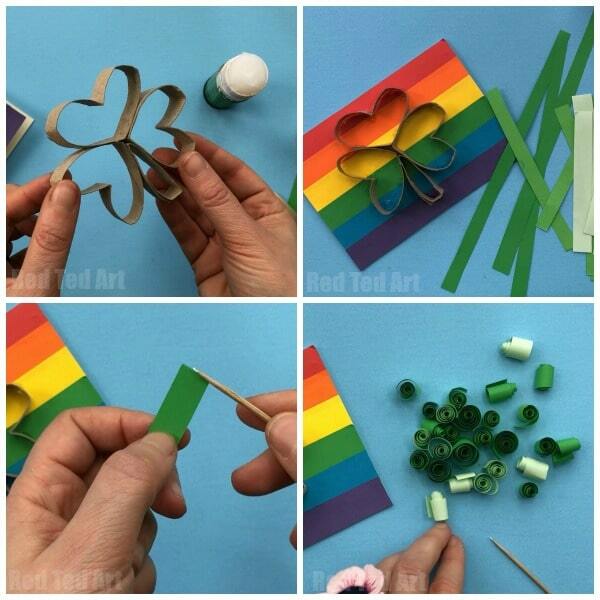 Such a clever and fun idea and the results are just lovely. 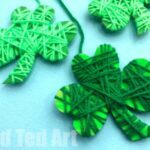 So now we get to combine our love for Toilet Paper Crafts AND Paper Quilling to pring you this Saint Patrick’s Day quilled card! As mentioned this step is optional. 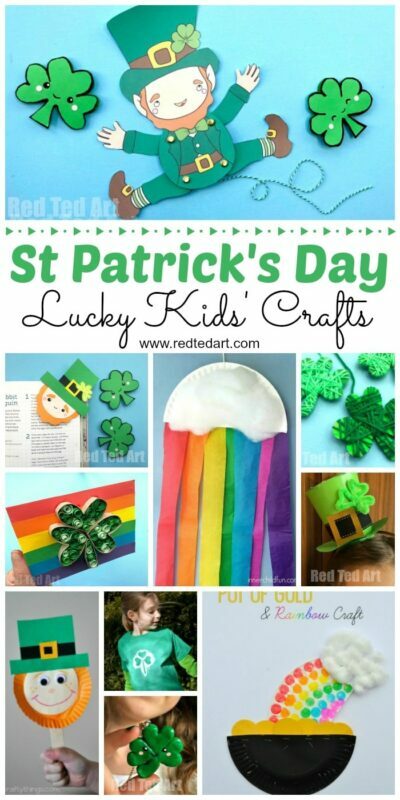 I thought the rainbow just add and extra gorgeous and fun element to our St Paddy’s Day Cards. 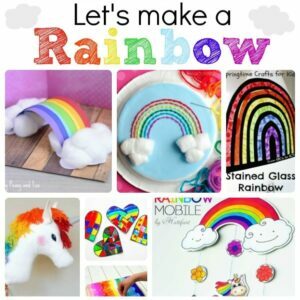 I cut 2cm strips of the rainbow colours and glue these on. 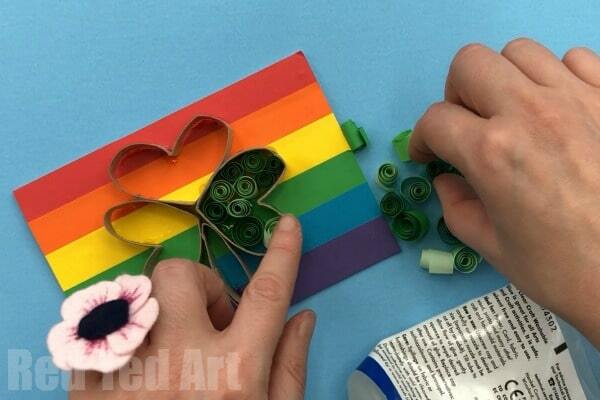 Painting a rainbow on your card or using crayons/ pens to make your rainbow card would also look great!! It is totally up to you and the materials to hand. 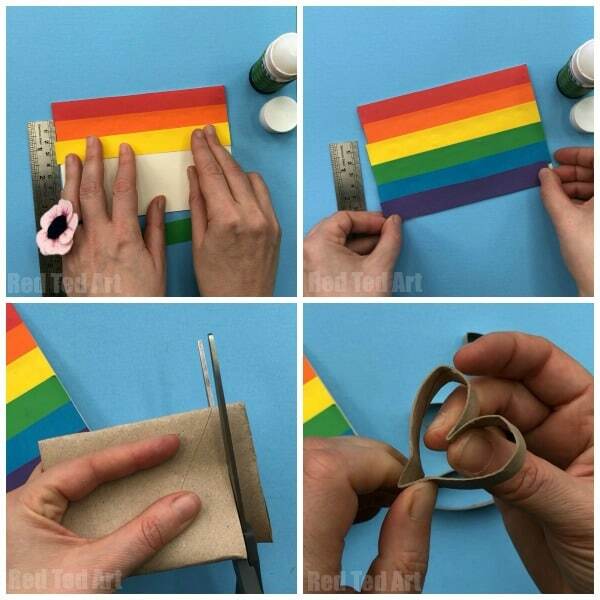 Take your Toilet Paper Roll and off 4 strips, 1cm wide. Take one of these toilet paper roll circles, pinch the bottom end, then take the top end and push it in and pinch. This will give you a basic heart shape. Repeat, so that you have 3 toilet paper roll hearts. 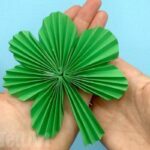 Cut the 4th tp roll strip open and “refold” to make a triangluar shamrock stem. Glue in place. 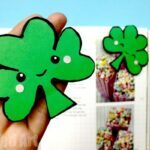 You now have a choice: glue your shamrock pieces directly onto your card or glue them together first. I found it easier to glue them together first and then onto the card. Cut 1cm strips of varying lengths and colour. 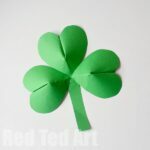 If you only have shade of green that is fine too. 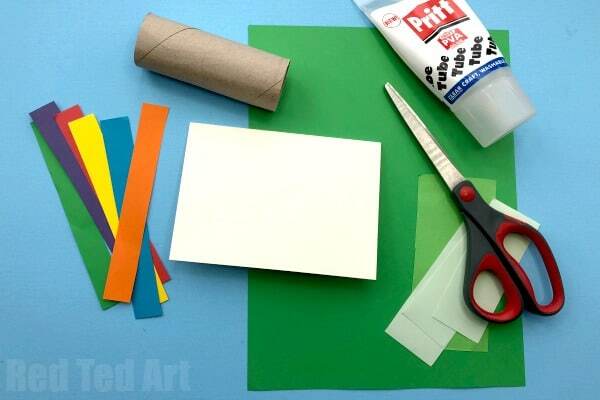 Take a toothpick or small paint brush and curl the paper around it. Release in your and let it unfurl a little. 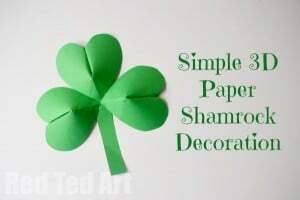 Repeat until you have a number of green paper quills for your shamrock card. 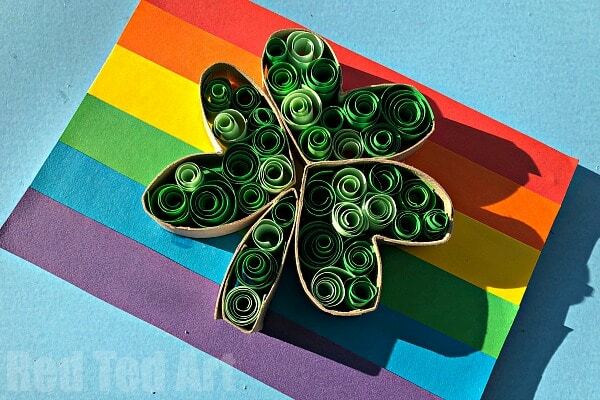 Fill the Toilet Paper Roll Shamrock with glue and start inserting your paper quills. Make sure you have a nice mixture of shades and sizes, to give it a nice finish. 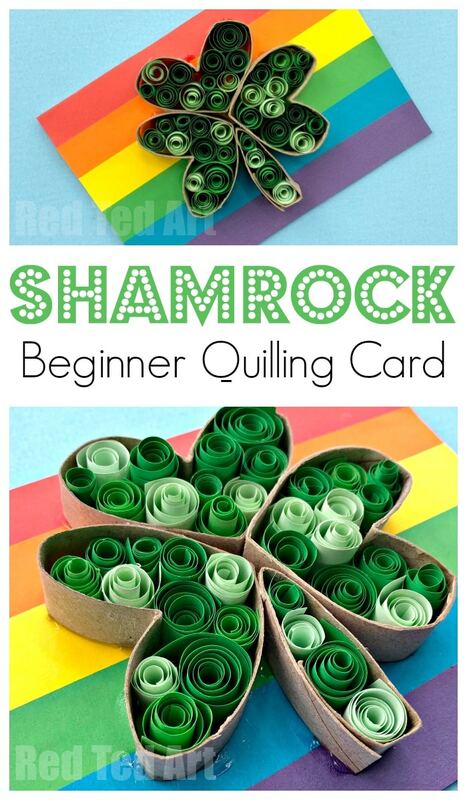 If need be make some more paper quills and insert. 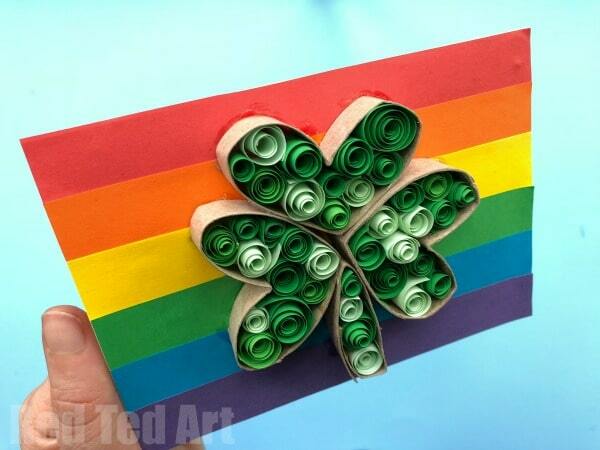 YOUR Rainbow Paper Quilled Shamrock Card for Sain Patrick’s Day is finished!!! Hope you love it as much as we do!! Adore how this turned out, it’s so pretty! Was fun to make! And love the “TP Roll Element” idea you had! !